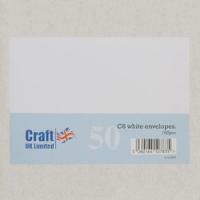 We stock a variety of excellent quality Cards and Envelopes suitable for making your own greetings cards and invitations. Handmade cards are always a popular craft project as they are fun and easy to make and mean so much more to the receiver than a shop bought greeting card. Card Making is popular with children and is a great way of getting them involved in crafts and for them to show off their creative side whilst being able to express to their loved ones just what they mean to them in a way they may not be able to with words. Many avid crafters have found that Card Making is lucrative venture and have founded small, successful businesses selling their designs at craft fairs, markets and on the internet. 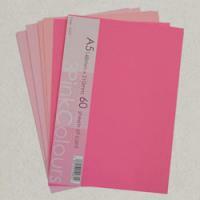 Whether you are creating one single greeting card for a loved one or two hundred wedding invitations our range of Cards and Envelopes will help you achieve a beautiful, professional looking product which will be treasured by whoever is lucky enough to receive it. 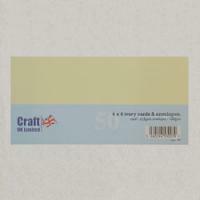 Available in shades of white and ivory and a variety of sizes our Cards and Envelopes are perfect for all Card Making projects including greeting cards, invitations, thank you cards and many more.